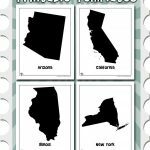 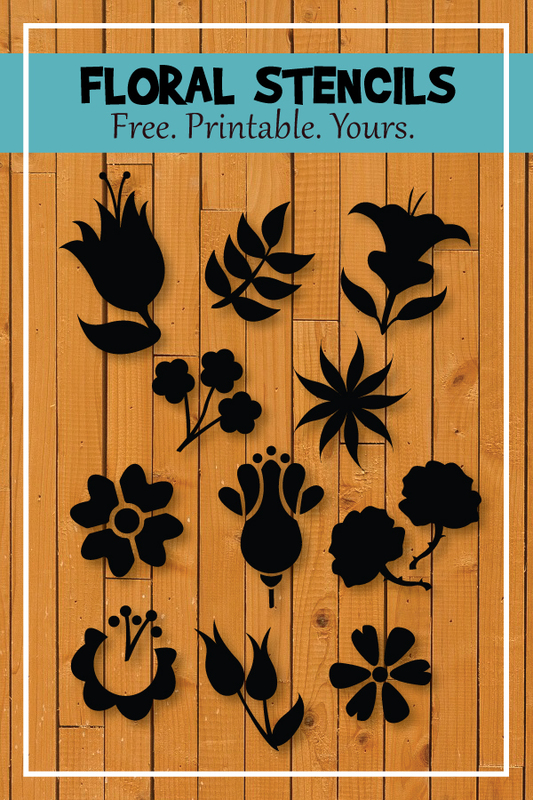 Our printable craft stencils / templates / shapes / silhouettes / whatever you want to call them are perpetually popular around here! 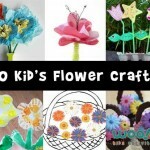 Our readers use them for a vast number of crafty endeavors. 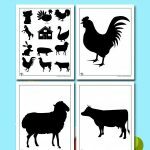 Wall stencils, fabric appliques, bulletin board decorations, party decorations, school poster art, banners… there are literally infinite ways to use these printables! 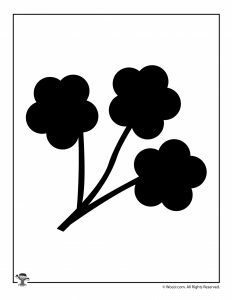 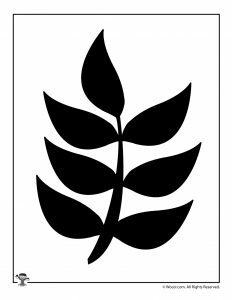 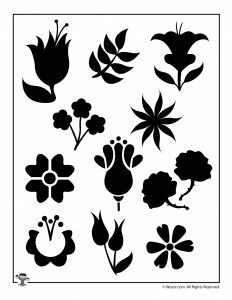 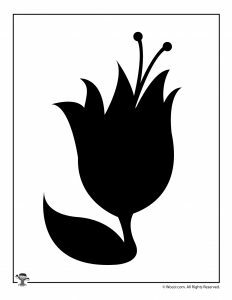 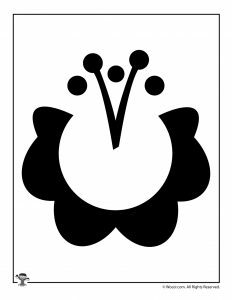 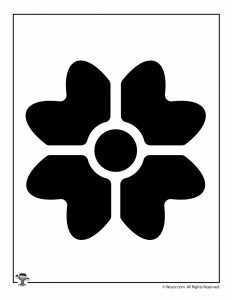 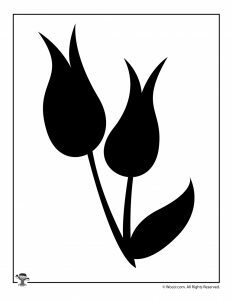 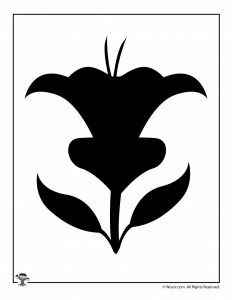 If you are going to use these printable flower stencils as paint stencils, we recommend printing them out on card stock. 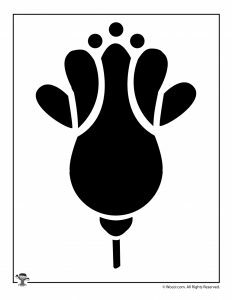 Even better, trace them and cut them out of thin plastic. 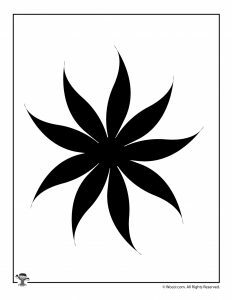 To use as sewing patterns, print on paper, pin to fabric, and cut out the flower shapes. 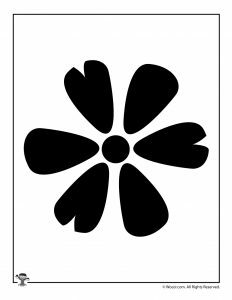 You might want to print out a second copy to align the pieces if the stencil you choose has several parts. 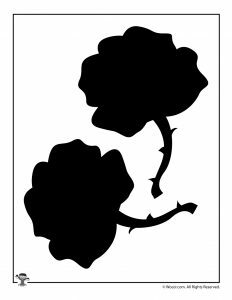 Since many of you ask: you MAY use these stencils as part of handmade crafts that are to be sold at craft shows. 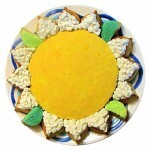 No commercial use or electronic replication is allowed. 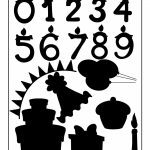 Happy Birthday Shapes and Templates for Crafts, Cards, Signs & More!